So fire is a tool for heating and cooking, but obviously it is also a destructive force that can be and is weaponized. 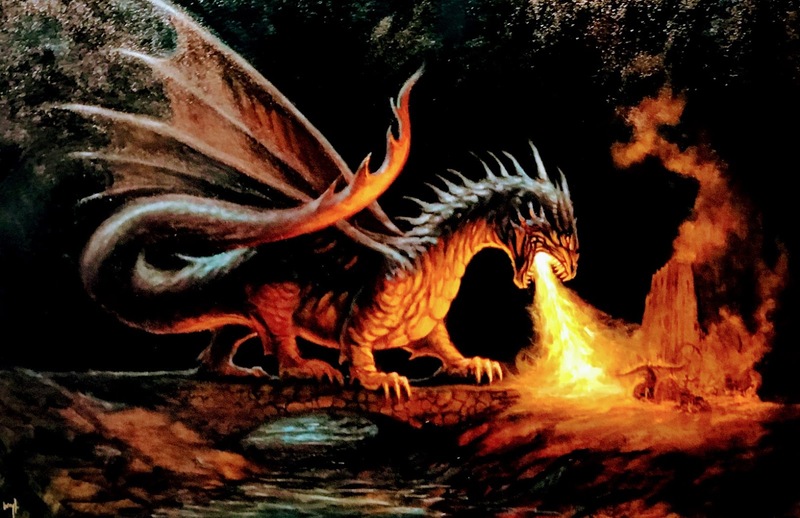 From tales and mythologies of old, dragons would spew fire from their mouths and destroy the enemy leaving only maybe their charred remains (likely, we will get to see more of that in Season 8 of Game of Thrones coming up soon). In the 20th century, flamethrowers were widely used in World War I and II, and today thermonuclear weapons create great fireballs and mushroom clouds. But already as far back as the Bible, Samson fought with fire against the Philistines. He caught 300 foxes, tied them tail to tail in pairs and put a lite torch between them and they ran terror and havoc through his enemy's encampment. By the time of the Greek and Roman Empires, they would use catapults to hurl pots or bundles of flaming materials at their enemies. In the Movie, Gladiator, upon releasing these catapults, he orders: "Unleash Hell!" During the Spanish Inquisition, the inquisitor and his henchman would force Jews and others to convert or face execution by fire in the auto-da-fe. Again in the Salem Witch Hunts, they would burn suspected witches at the stake. And in more recent times, in the War Against Terror, ISIS was shown in videos that went viral torching those they considered infidels. The other night watching a movie, "Redbad," there was a riveting scene, where the Franks pour accelerants on live pigs and then light them up with torches and send them darting like crazy into the enemy ranks and villages.